Financial details, customer details and personal information, contractual details and intellectual property are just some of the types of information that companies need to keep safe from cyber criminals. This information is valuable to criminals as they can find ways to exploit it and profit from it – at the expense of the company it was stolen from. Your company can’t afford not to be concerned with cyber security. Data breaches cost billions of dollars around the world each year and can have devastating consequences for companies that have been affected. This includes loss of revenue, loss of consumer trust, legal implications and financial ruin. Depending on where in the world you are located, there are regulatory and legislative requirements to keep data safe and failure to do so can result in large penalties. For example in Europe, the General Data Protection Regulations (GDRP) which came into effect in 2018 mean that companies are now fiscally responsible for any security breaches and fines can be as much as up to four per cent of their annual turnover. 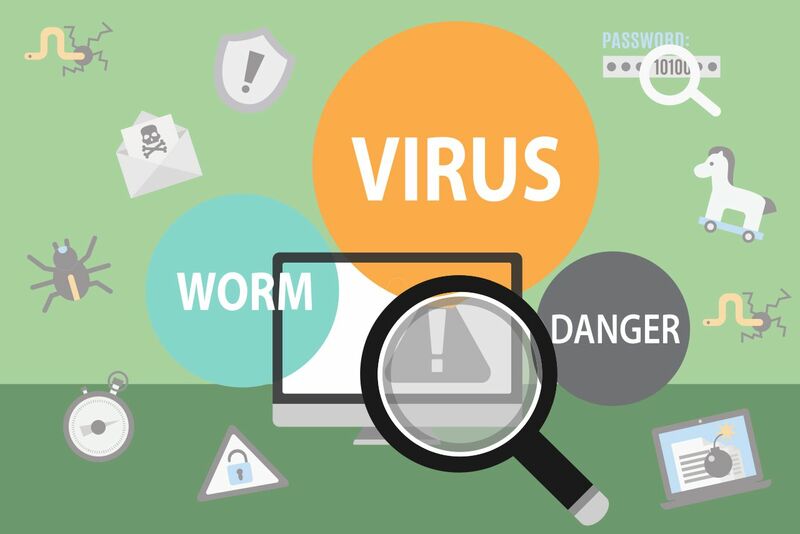 Ensure all computers in your company are running antivirus and anti malware software with definitions regularly updated. Firewalls should also be in use. Keep all software updated and patched. Quite often cyber criminals will find a way in through known software exploits because companies have failed to update with vendor patches. Follow best password practices and ensure passwords are difficult to guess or crack. Don’t write them down, especially not near computer screens. Encourage employees not to share them with anyone. Take words out of passwords to make them harder to guess, and use a combination of upper and lowercase letters, numbers and special characters. Employees, unfortunately, are often the weakest link when it comes to cyber security. They account for most data breaches and fall victim to things such as invoice scams, phishing attempts, downloading malicious attachments, clicking on suspicious websites and so on. Training your employees on what to look for and what to do in the event they encounter a cyber criminal is critical. 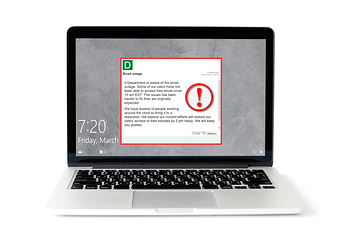 With DeskAlerts you can send reminders about cyber security to employee desktops, send quizzes to see what level of knowledge your employees have on the topic, and even send urgent threat notifications when there is a known issue that has the potential to impact on your computer systems. Around 81 per cent of data breaches come from stolen, weak or default credentials. Once a cyber criminal has these, he or she can gain access to systems and cause untold damage. Multi-factor authentication makes it that bit harder for cyber criminals to gain access, because unless they have all the devices and accounts set up in a multi-factor authentication system, they will fail.